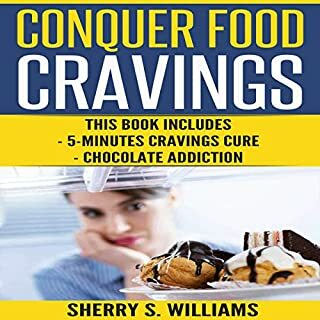 Conquer Food Cravings: 5-Minutes Cravings Cure, Chocolate Addiction teaches you every step you must take to end chocolate addiction, including an action plan for eliminating food cravings. Do you wish you could live happier? Or do you wonder if you can be rid of anxiety? Are you tempted to find out how to bring more positivity into your life? Do you feel stagnant, stuck in a rut, and ready to embrace optimism? If you keep doing what you’ve always done, you’ll never fight the blues and find happiness. 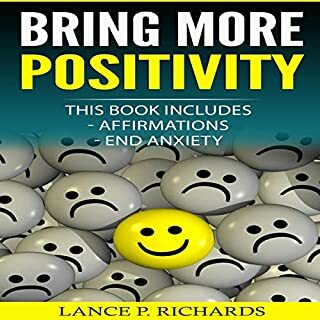 Bring More Positivity: Affirmations, End Anxiety teaches you every step, including an action plan for happiness. 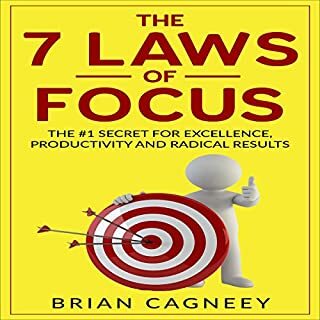 Part of Brian's well-known 7 Laws Series, The 7 Laws of Focus can help you become more effective, dedicated, and productive to get more done. Whether you want to get out of debt, change a habit, or succeed in business, Brian's proven and effective focus and concentration tips in this book will help you get what you really want from life! Unlike other motivational and productivity books, The 7 Laws of Focus gives you a wealth of detailed and powerful tips and techniques to really take charge of your life. Get rid of your thinking errors, think intelligently, and understand situations holistically to make better choices and perform at your best. Do you find yourself trapped in older pre-conditioned thinking patterns? Do you miss out on new opportunities? Do you wonder why despite good intentions you often struggle to solve your problems? Do you often end up making bad choices? 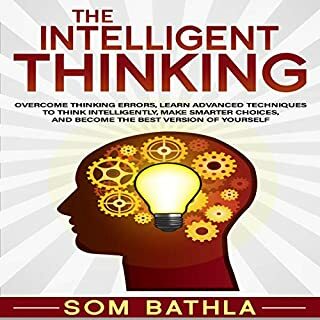 THE INTELLIGENT THINKING was written as a succinct guide revealing most effective thinking strategies (though some might sound counter-intuitive) to address all your curiosity on how to think intelligently. 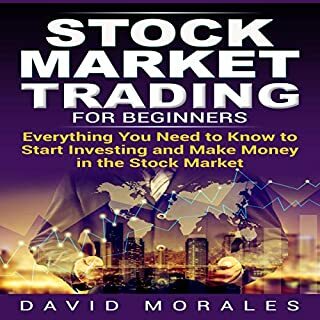 This book will help you get the basic information you need, so you make money in stock trading from day one. Get the inside scoop on how the stock market works and how you can invest to win. This book spells out the four key ways you can invest in stock market, so you can come out ahead. 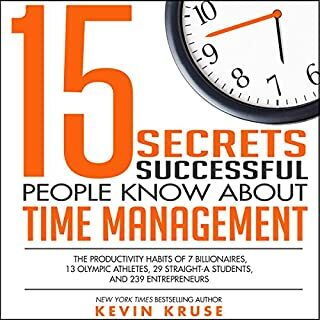 New York Times best-selling author Kevin Kruse presents the remarkable findings of his study of ultraproductive people. Based on survey research and interviews with billionaires, Olympic athletes, straight-A students, and over 200 entrepreneurs - including Mark Cuban, Kevin Harrington, James Altucher, John Lee Dumas, Pat Flynn, Grant Cardone, and Lewis Howes - Kruse answers the question: What are the secrets to extreme productivity? Capsule Craze is full of tips for finding the right clothes that will match your style. These methods are backed up by countless organizational experts, all of which will arm you with a mind-set primed for success through powerful, concrete, and flexible closet-organization techniques. Are you tempted to find out if a freestyle diet is right for you? Freestyle Recipes: Complete Guide to Losing Weight and Feeling Great teaches you every step, including an action plan for losing weight. This book contains proven steps and strategies for mastering your mind, avoiding distractions, and increasing your productivity. Brian provides a wealth of simple, easy-to-follow techniques and leads you through this challenging and rewarding journey of self-discovery! With this powerful guidebook, you can understand the barriers to progress, like excuses, blame, and denial. You have the strength to see reality as it really is - and start telling yourself the truth. Develop your own personal gravity with concrete skills to stand out, be noticed, and captivate people. If you (1) walk into a room and feel invisible, or (2) want to ensure you make a powerful personal impact - newsflash: you need better advice than "fake it 'til you make it" or "just be yourself". Confidently approach and excel in any social setting. What is chakra healing and how can you apply its principles throughout your life? Learn the basics today with this straightforward book. Are you looking to uncover the immense natural energy you can enjoy when your chakras are balanced and healthy? Do you find yourself looking for a path that can help you unlock the secrets to happiness, energy, and wellbeing? The chakras have long been seen as the most important centers of energy and power in the human body. Get more for your efforts right away - this book makes productivity simple and easy! 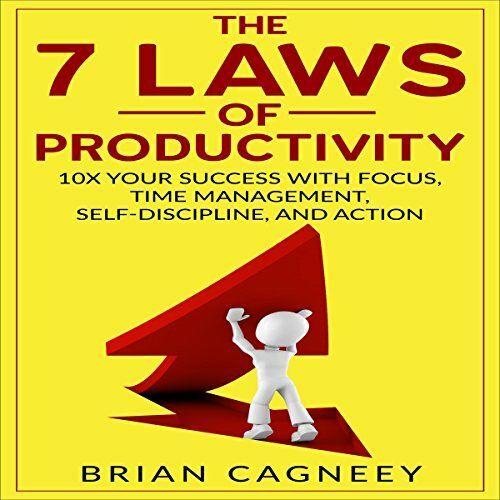 In Brian Cagneey's The 7 Laws of Productivity: 10x Your Success with Focus, Time Management, Self-Discipline, and Action, you'll achieve all this and more! Part of Brian's well-known "7 Laws" series, The 7 Laws of Productivity can help you focus your concentration, end procrastination, and develop better time management skills. If you want pro-level productivity and don't know how to get started, this is the book for you! For time management, the best tip is to decide what your true priorities are and stop working on tasks that don't fall under these priorities. He has a very interesting perspective on productivity that will make you feel totally psyched about trying all the tactics he outlines in his book. From small things like how to manage your email alerts to be able to maintain your focus to big picture things like identifying your priorities and lifestyle habits (but in the most practical, non buzzword kind of way! ), you'll find this book useful and super interesting all at the same time. This is one of those rare books that I think everyone can gain something really practical from. This book shows that time management per se matters yet it is not the most important factor. Self-management makes a huge impact to our attention and energy. The productive value of an hour varies considerably based on your current state. Let’s illustrate that with an example based on sleep habits. When I manage to only get 5-6 hours of sleep, I find that life is much more difficult to manage. A type of mental fog filled with above average amounts of negative emotions cloud my whole day. In contrast, I find that I am in a better mood and better able to sustain productive activity based on a full night’s sleep. In some ways, the most valuable insight from the book is to apply an experimental perspective on your daily work. You can use proven habits and routines 80% of the time and tinker with new methods the remaining 20% of the time. A highly enjoyable book for anyone looking to improve how they spend their time and effort. Got me thinking about a lot of different aspects.. So much good advice. Such a great book with many takeaways. It really got me thinking about a lot of different aspects of my work and life. It's so much more than just making better use of your time. Really nice book and good experience! This book envelopes many great ideas that have proven to make you more productive. Creating more attentional space around your highest-return activities will help you come up with better ideas. Do not cram in as many tasks as there are in your days since they create a mental logjam and your productivity significantly plummets. I enjoyed the book and definitely recommend it to all those lovely productivity buffs. A short, sweet, and to the point book on productivity! It gives a great look into how you can organize your time and be more productive. I listened to it as an audio book and can't wait to get my physical copy for reference. I think this book hit me at the right time when I was already rearranging how I categorize life... as it doesn’t contain anything life-changing. I was ready for a re-order and so I found it helpful. A practical introduction to personal productivity. On the productivity side, the book was stellar. Simple, yet specific and precise. And that's usually a big pro when it comes to this genre. For those who are looking for a productivity book that thoroughly integrates theology and productivity, I highly recommend this one. Every thought is explained with simplicity, which is easy to comprehend and apply immediately. Without wasting any time. Now that's what is called effective time management. I found points very insightful. I gained a lot from its methods. I feel like I'm a different person after listening it, even though I didn't get the chance to practice some of its ideas. Great book, thank you! Really nice and concise book on time management and proper behaviours to help become more productive. Listen this and follow the guides from this book and you will become an efficient leader. Very impressive. Lays a good foundation for anyone who wish to manage time better and wisely. Excellent nuggets of smart tactics and wisdom! The book provides methods which can be easily applied, provided you have the discipline and determination.